How can social movements and communities most effectively organize for sustainable socio-economic, political, and cultural transformation? Jeffrey Juris examines the issues, strategies, and tactics that inspire and shape emerging forms of radical social movement activism. He pays particular attention to how activists use new digital technologies to build innovative networks that are locally rooted yet globally linked. 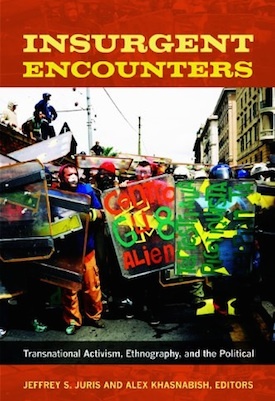 Throughout his research in Barcelona, the U.S., and Mexico, he has carved out a militant ethnographic approach that challenges the divide between activist and researcher, using his dual position as an organizer and anthropologist to generate practical knowledge and new theoretical understandings.